Home health news WHO Confirms Monkeypox Outbreak In Bayelsa State. WHO Confirms Monkeypox Outbreak In Bayelsa State. The victim allegedly took his life on Monday at the makeshift quarantine center at the Niger Delta University Teaching Hospital, Okolobiri, in Yenagoa Local Government Area of the state. World Health Organization (WHO) reference laboratory in Dakar, Senegal, has confirmed the outbreak of monkeypox in Bayelsa State. Blood samples from the first 13 suspected patients of the virus were dispatched to the WHO facility three weeks ago for a confirmatory test following a clinical diagnosis of monkeypox by medical doctors in Bayelsa State and officials of the Nigerian Centre for Disease Control (NCDC). One of the patients receiving treatment for the virus at the quarantine center in Bayelsa State reportedly committed suicide, state government officials said on Monday. Addressing reporters on Monday evening in Yenagoa, the State Commissioner for Health, Ebitimitula Etebu, stated that the deceased was among the 21 patients receiving treatment at the teaching hospital. Dr. Etebu was joined at the conference by the Commissioner for Information and Orientation, Daniel Iworiso-Markson, the Chief Medical Director of the NDUTH, Dimie Ogoina, and other senior health officials. He expressed regret that the patient took his own life despite his rapid recovery from the virus, noting that the deceased’s medical history did not suggest that he had suffered from any mental illness or depression. The health commissioner maintained that the patient did not die from the disease, adding that the police and his family have been duly informed and all due diligence was being followed for his eventual burial. While sympathizing with the family, Dr. Etebu said that a committee has been put in place to evaluate the victim’s past and recent clinical and social history in order to determine if there were undisclosed mental illnesses or personal family problems that could have justified the suicide. Dr. Etebu also confirmed the outbreak of monkeypox in the state following laboratory evidence from samples sent to the WHO reference laboratory in Dakar. 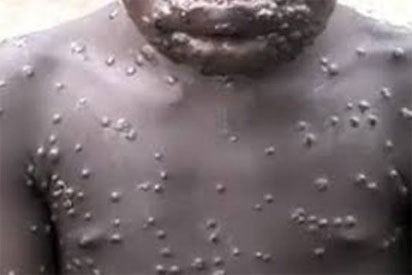 Reports of an outbreak of monkeypox in Bayelsa State surfaced three weeks ago when a family in Agbura, Yenagoa, began experiencing symptoms of the virus after eating a monkey. Dr. Etebu assured the general public that the government was taking proper measures to contain the outbreak and ensure that all patients suffering from the virus receive adequate treatment. On his part, Mr. Iworiso-Markson urged residents to continue to use preventive measures and ensure they avoid eating bushmeat.